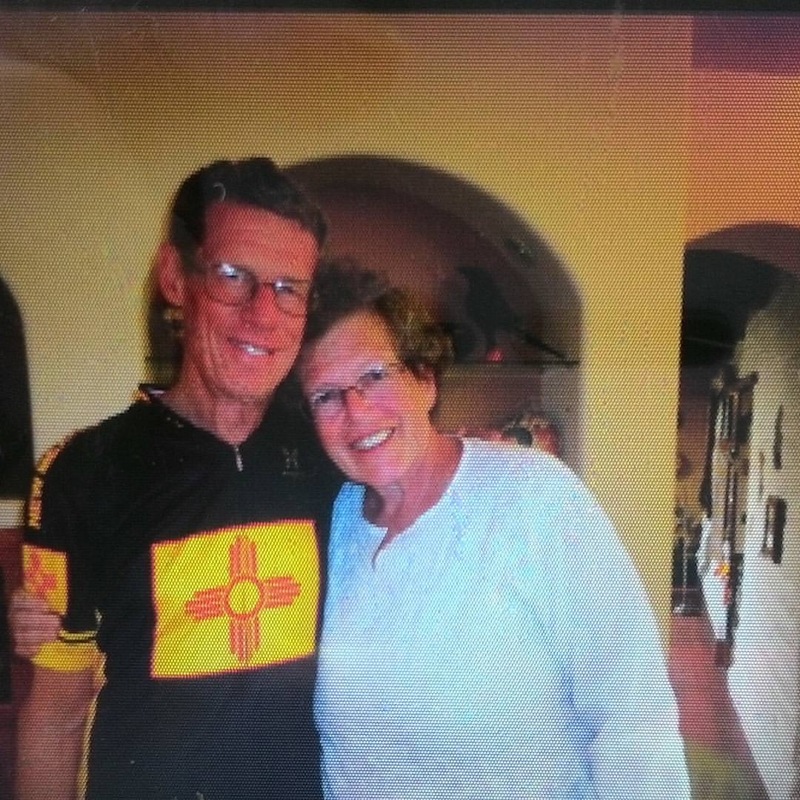 Happiness Walk hosts Lance and Kathy Chilton. We’re all used to seeing everything ranked – a news magazine has made a name for itself producing rankings of everything from universities to hospitals. It seems every other day we see New Mexico ranking at the bottom of many lists: the latest I’ve seen was our bottom rank in high school graduation rate. I like to think that we’d rank very highly in happiness; it’s a beautiful fall day as I write this, with golden leaves falling from the trees, cranes flying overhead, and the mountains looking their best in our clear blue skies. I haven’t seen state rankings of happiness, but various measures of countries’ happiness exist; the United Nations uses the following measures to come up with a composite score: healthy life expectancy, having someone to count on perceived freedom to make life choices, freedom from corruption, and prevalence of generosity. Of 156 countries ranked on this scale, the US comes in 17th; not bad, really. The usual suspects, the Nordic countries, Switzerland and the Netherlands, top the list. Several war- and disease-torn African countries sit woefully at the bottom. The idea of gross national happiness came from the little Asian country of Bhutan, which ranks low in per capita income. But its government considers Gross National Happiness important and works ceaselessly to increase it. They do well – the bicycle-riding Crown Prince leads the effort. 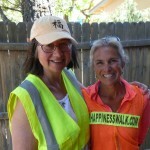 Recently my wife and I hosted Paula Francis, who is making an 8000-mile walking route around the United States to promote the concept here, the National Happiness Walk. 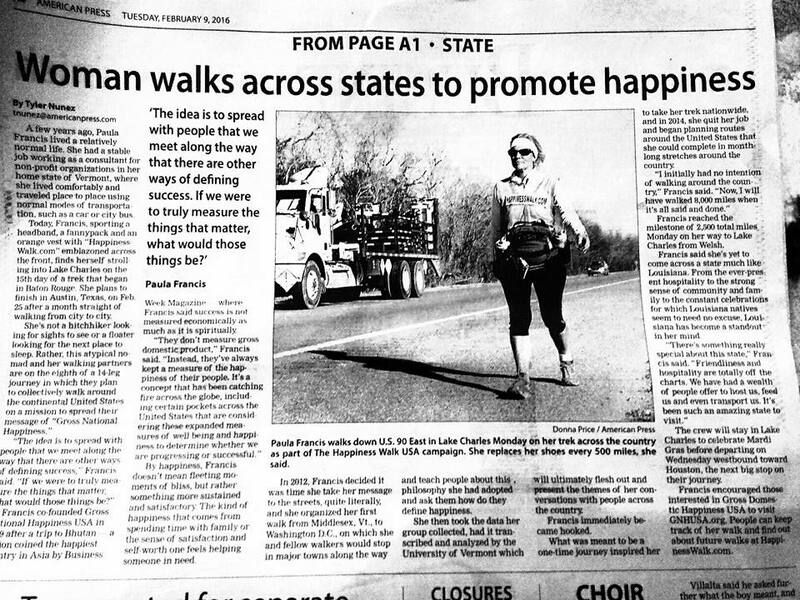 Working with a charitable organization, Gross National Happiness USA (GNHUSA), Paula has now walked through 19 states on her way from Vermont to California, and then back to Vermont across the northern states. She does this in stages; leg 10 will take her from Santa Fe and Albuquerque on to Los Angeles by early December. She interviews people she meets along the way, looking to find what contributes to and what impedes happiness in their lives. 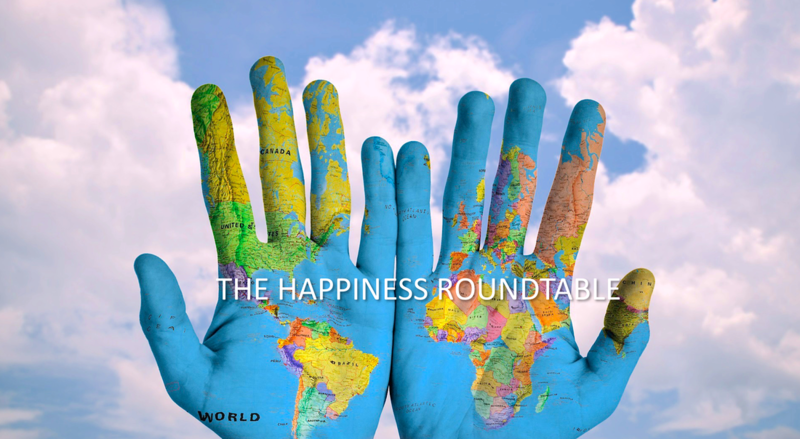 Paula’s walk publicizes the importance of happiness as a true national “product.” Of course the dimensions of happiness vary from one person to another, and not everyone would agree with the UN’s formulation of its concept of the term. Some people are made happy by a beautiful painting, a fancy meal or a luxurious resort, while I like to think that giving to others is a vital part of true contentment. General Colin and Alma Powell’s America’s Promise (americaspromise.org) includes generosity to others in its five basic tenets for happy, successful children: Caring Adults, Safe Places, A Healthy Start, Effective Education, and Opportunities to Help Others. Smart charities like Albuquerque’s Roadrunner Food Bank, make caring accessible to children. My grandchildren love going there to sort food to be given to the less fortunate; Roadrunner makes it clear that their efforts are appreciated. Being happy is easier for those of us who have a modicum of secure access to food, shelter, stimulating activities. We owe it to all New Mexican children to be able to provide that security that underpins happiness. Lack of the above five promises is an underlying cause of many ill effects, which are measured in each odd-numbered year by the New Mexico Youth Risk and Resilience Survey (YRRS, at youthrisk.org); results of the 2015 survey are just out. High school students across the state are surveyed for factors that put them at risk, as well as those that may help them avoid ill effects of risk factors. To some degree, these two sets of factors might be restated as habits that inhibit and that promote happiness. Perhaps it is lack of the five promises that leads New Mexico teens to take risks in misguided searches for happiness: in overeating without exercising, in early sexual activity or in drugs (2.8% use heroin and 25% use marijuana, 26% are current alcohol users and 33% use cigarettes or e-cigarettes),. Child poverty, so common in the US and especially in New Mexico, is ll too often associated with violence within families, with substance abuse, and loss of a parent through incarceration or divorce. This makes compensating, or resiliency-promoting attributes especially important. YRRS notes that 91% of adolescents believe their parents are interested in their homework, that 95% of parents believe in their children’s chances of success, and a similar 95% of these kids believe their parents are aware of their whereabouts and their companions. I hope they’re right. School attributes, like teachers who listen and believe in their students, are also important; YRRS finds both family and school attributes to be associated with positive behaviors and ability to withstand reverses. “Life, liberty, and the pursuit of happiness” are equally enshrined in our Declaration of Independence. In this rancorous political season, it’s easy to forget the importance of each of them. Paula Francis would remind us that happiness is not the least important of the three.